What would you do with a million dollars? That’s probably a question you’ve briefly thought about, but never really considered. Would you go on vacation? Buy a brand-new car? Get a vacation house in Hawaii? Anything in your wildest dreams could become a reality just by playing bingo at the Plaza Hotel & Casino. Every day we at the Plaza give you the chance to get rich instantly by playing Bingo Millions. Games are hosted daily at 11 AM, 1 PM, 3 PM, 5 PM, 7 PM, and 9 PM in the Plaza Bingo Room. Prizes start at $500 for a coverall in 54 exactly and go over $1,000,000 for a coverall in 47 or less. You will have five chances every day to become a millionaire! The origins of bingo root back to the 1500s. Where a very similar lottery game was being played in Italy. In 1778, the French game, called Le Lotto, appeared with nine columns and three rows. Then in the early 1920s bingo, as we know it today, was created by Hugh J. Ward. Today, bingo is primarily played in Las Vegas and in Native American casinos. 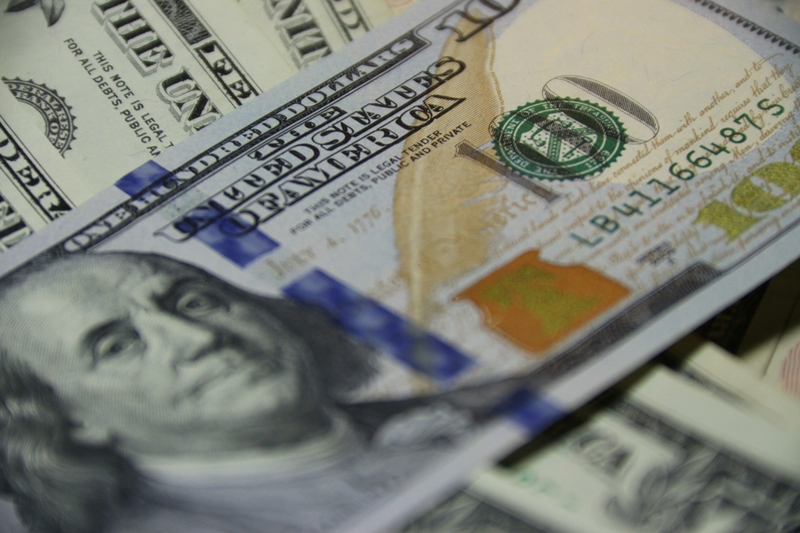 The largest jackpot to date in Las Vegas history was $110,726 which was won in Summerlin’s Rampart Casino, but at the Plaza Hotel & Casino, you will have the chance to win a million dollars! The Plaza Hotel & Casino is the only casino in Las Vegas to offer this variation of bingo. The million dollars are to be paid out in cash to the bingo winner. Specific rules and regulations apply. And of course, bull riding! 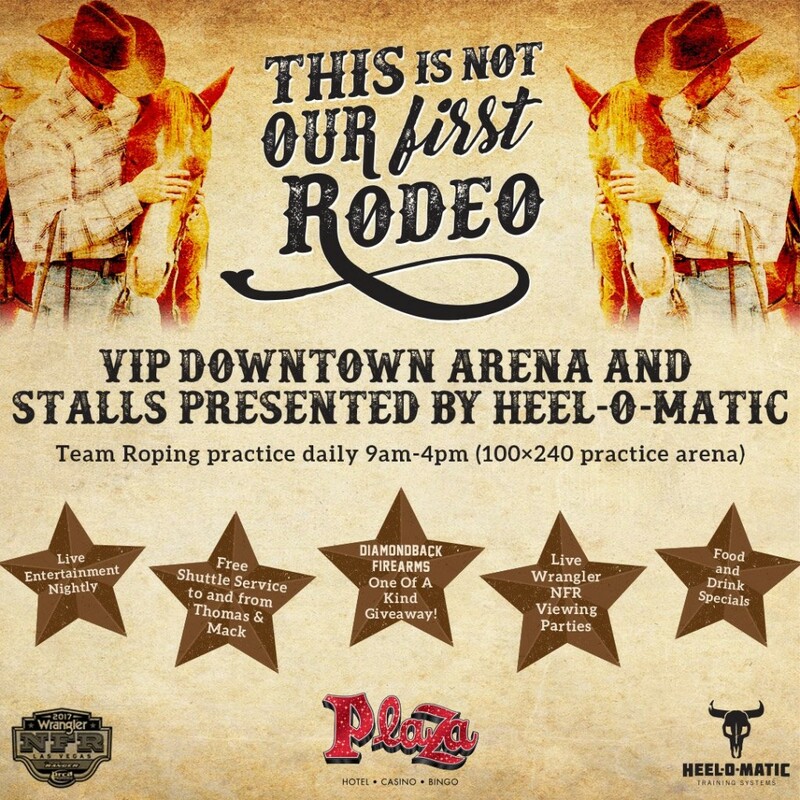 Why should you come visit the Plaza during the NFR? Roy Cooper, Pro Rodeo Hall of Fame member, thinks you’d love it here. “Nowhere else in downtown Las Vegas can you find the great amenities that the Plaza is offering. The Plaza has really stepped up – especially by building an arena and stalls – all to make cowboys like me feel at home”. Guests staying at the Plaza can reserve two stalls and trailer/truck parking at a special rate. Every night of the NFR, the Plaza will host a free viewing party in its new Plaza Events Center, which has 18 large high-definition television screens and seats up to 400 guests. You’ll feel like you are part of the action from the comfort of your seat with drink and food specials. For those that like to be closer to the action, we’ll take you to the NFR.Guests can take advantage of the Plaza’s free shuttle service to the Thomas and Mack Center offered nightly from 5 to 7 p.m. and returning 9 to 10:30 p.m.Our shuttles are a great place to talk about all the amazing action you just witnessed and will back to the Plaza for nightly Live NFR Feed Viewing Parties with live entertainment and of course, food and drink specials because the fun is only beginning.If you got enough live action and fun at the NFR, relax at the Best Steakhouse in Las Vegas (as voted on by Las Vegas visitors and locals), and enjoy NFR food specials. There is only one thing more legendary than the Plaza’s history and award-winning service, Oscar Goodman. Oscar Goodman, known best as the “Happiest Mayor in the Universe”, served three terms as mayor of the city of Las Vegas.In December 2011, former Las Vegas Mayor Oscar B. Goodman opened a unique Steakhouse. Located inside of the iconic dome of the Plaza Hotel and Casino. Guests are treated to a spectacular view of Fremont Street.Known for its perfectly aged steaks cooked over a 600-degree grill, Oscar’s Steakhouse will have three special menus during the NFR.We want the Plaza to feel like home, that’s why we are serving up plenty of delicious steaks and other classics that rodeo goers will love.Reservations for dinner are recommended and can be made online. You may even catch Oscar himself enjoying a martini and sharing stories of old Las Vegas. Come join us now.Reservations for dinner are recommended and can be made online. You may even catch Oscar himself enjoying a martini and sharing stories of old Las Vegas. Come join us now.